Though many car buyers obsess over sticker prices, overall value can be better determined by the amount they get back when they trade in a model down the road. In the luxury market, there are three Audi vehicles predicted by auto researcher ALG to lead their segments in retaining the highest percentage of their MSRPs after three years of ownership. The 2014 Audi A5, A6 and Q7 each recently received 2014 ALG Residual Value Awards. ALG determines its residual values based on factors like historical vehicle performance, segment competition and industry trends. According to the National Automobile Dealers Association, the value of used cars dropped by 3.5 percent in October, the largest decline in two years, making it even more important for buyers to choose a model that can maintain its appeal. The Audi A5, A6 and Q7 are expected to keep the highest percentage of their MSRPs in the Premium Midsize Car, Premium Fullsize Car and Premium Midsize Utility Vehicle — 3 Row segments, respectively. The Audi A5 proved its long-term value twice over this month, earning a 2014 Kelley Blue Book Best Resale Value Award as well. Besting the second-place 2014 Lexus GS 350, the 2014 Audi A5 is estimated to retain 43.8 percent of its original list price after five years, leading the Luxury Car category. Kelley Blue Book’s KBB.com praised the A5’s engaging drivetrains, beautiful styling and breadth of features and options while presenting the award. 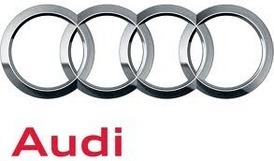 Audi owners will also find a complete selection of Audi parts and accessories, as well as expert Audi service from factory-trained technicians. Discover the quality, performance and engineering that make every Audi special by checking out their inventory at www.audinashua.com, liking them on Facebook at www.facebook.com/audiofnashua, or calling their dealership, located at 170 Main Dunstable Road in Nashua, N.H., at 888-475-5701.